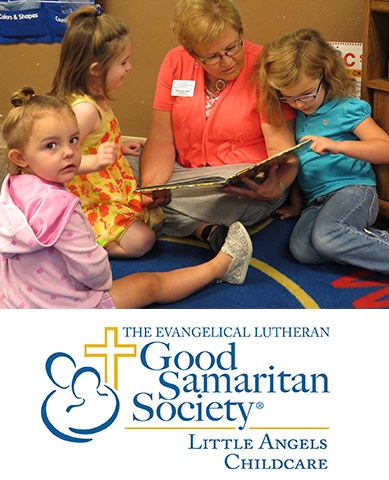 Little Angels Child Daycare (Good Samaritan Society – Syracuse) offers supervision and age-appropriate programs to foster children’s social skills, language skills, physical skills and self-help skills from Infants to Preschool children. All of this is offered within a Christian environment. GSS-Syracuse child daycare programs are geared towards the wonderful opportunities for intergenerational experiences since the daycare is attached to the Linden View Assisted Living facility. Little Angel’s children visit and participate with the assisted living center on a weekly basis. Mon. thru Fri. 6:00 a.m. – 6:00 p.m.